Carrying a bulky DSLR camera might not be ideal on your travels. You can find a sleek and easy way to enhance your phone camera with the array of portable lens offered by Moment. 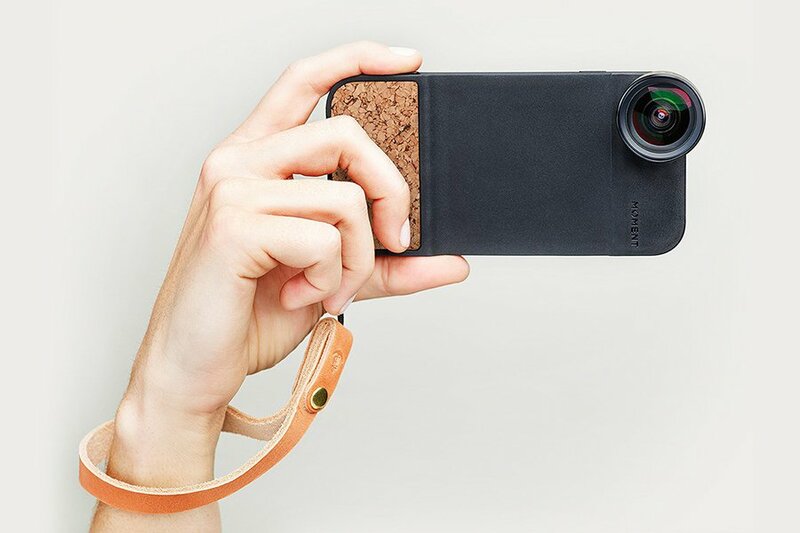 A lens attaches to the special phone case with a shutter button that will also charge your battery. Make your notes or sketches with this special paper and pen and have them instantly digitized and transferred via bluetooth to your phone or computer. You will want to have this with you to jot down your thoughts and capture inspirations on your next trip. Most of us cross our fingers and hope we will be reunited with our luggage at the destination with no hiccups. 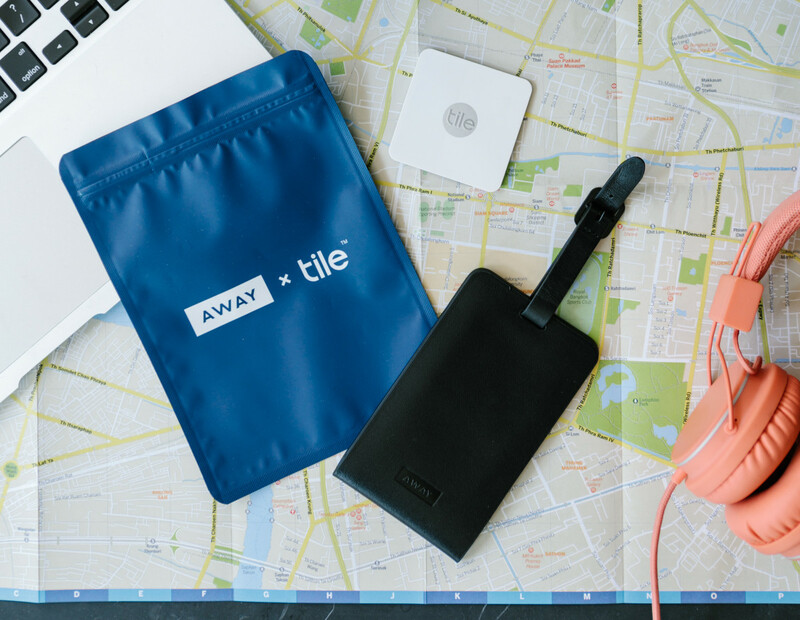 Get one of these luggage tags that will let you know the whereabouts of your bag. Think of it as an invisible tether between your suitcase and your phone. You may find your hands full while traveling, literally. This robotic suitcase has facial recognition and follows the owner like a loyal dog by the side, avoiding obstacles with its vision technology. This lightweight, waterproof carry-on has USB ports with a removable battery and has a GPS tracker. 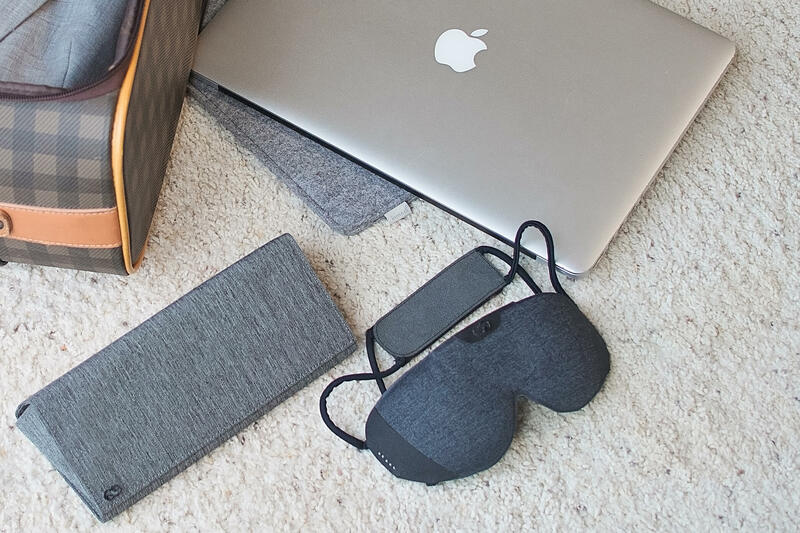 This smart sleep mask is paired with a mobile app that tailors light therapy according to your sleep needs and travel information. Your body's clock is adjusted as needed with short light pulses so you are rested and ready to go, whether you wake up in your bed or in a different time zone. These earbuds will ensure you get the best night's sleep in peace and quiet wherever you are. Another cool feature is that it will be your alarm that only you can hear and no one else. Snag a pair and you won't regret it. Made from 90.3% organic ingredients, this botanical mist is water-free and naturally fermented to increase potency of its ingredients. This is a no-brainer for your next flight to instantly rehydrate and refresh your skin. Take this sleek, compact air purifier to make sure you get clean air wherever you go. Weighing in at just 0.65 pounds, it can also multitask and provide aromatherapy if you add in one of their essential oil blends. Jet lag, sleep deprivation, and change in routine can take a toll on your skin. Pack a sleek jade facial roller so you can fight puffiness and set time aside for some self-love no matter how busy you are. Even the very best of us has a messy moment time to time. We are all human after all. Make sure you pack a few on your next trip to quickly remove stains in a natural, gentle way.